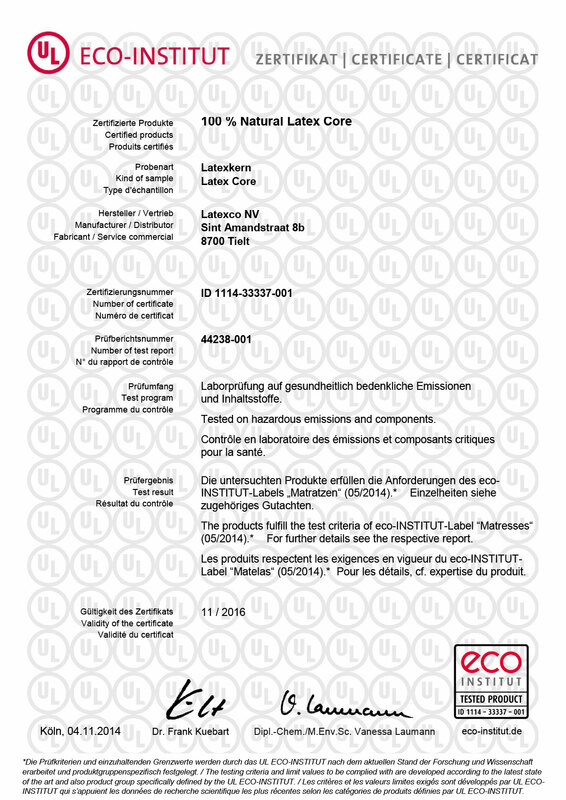 The latex used in The Zenna fulfils the criteria of the European Ecolabel system for mattresses as determined in the directive 2002/740/EC. 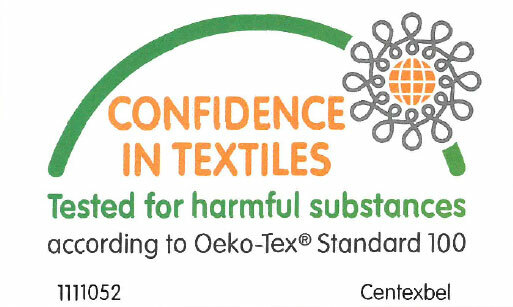 Customers can obtain a European environmental quality label. The European Eco-label gives your product a credible sign of environmental excellence and offers our customers a simple and trustworthy solution to differentiate their final products. In addition it helps to demonstrate the durability and the quality of the product. 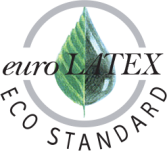 The manufacturer of The Zenna Latex Core has been awarded the label “Passed for harmful substances according to the OEKO-TEX STANDARD 100″, analyzing specific substances which are ecologically hazardous for humans. The manufacturer is granted by OTI(Wien) for its standard latex and also for its natural latex core for mattress upholstered furniture industry. 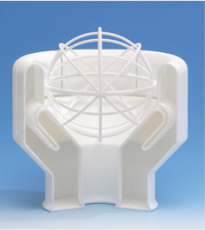 LGA (Nurnberg) Awarded The Zenna latex manufacturer with a score of minimum 99% out of 100% (being the maximum) for their dynamic load performance criteria on loss of height, loss of hardness and loss of elasticity. 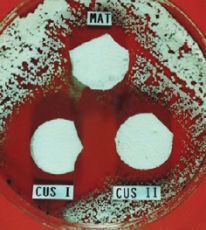 Tests conducted on the latex used in The Zenna mattresses indicate that these products have an anti-fungal and bactericide action. This latex does not need any chemical treatment as it is naturally dust mite and bacteria free and does not provide a feeding ground for dust mites and bed bugs. The manufacturer of the latex used in The Zenna has been awarded the infamous Environmental Care award for their innovative practices that contribute to the protection of the environment through a system of selective collecting, sorting and recycling.